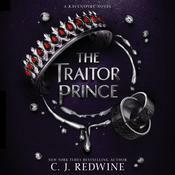 A dark and romantic epic fantasy retelling of the Cinderella story, about a girl who must team up with the prince she despises to defeat an evil creature threatening their kingdom. 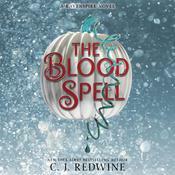 The fourth standalone novel in the New York Times bestselling Ravenspire series by C. J. Redwine. Blue de la Cour has her life planned: hide the magic in her blood and continue trying to turn metal into gold so she can help her city’s homeless. But when her father is murdered and a cruel but powerful woman claims custody of Blue and her property, one wrong move could expose her—and doom her once and for all. The only one who can help? The boy she’s loathed since childhood: Prince Kellan. Kellan Renard, crown prince of Balavata, is walking a thin line between political success and devastating violence. Newly returned from boarding school, he must find a bride among the kingdom’s head families and announce his betrothal—but escalating violence among the families makes the search nearly impossible. 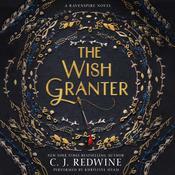 He’s surprised to discover that the one person who makes him feel like he can breathe is Blue, the girl who once ruined all his best adventures. When mysterious forces lead to disappearances throughout Balavata, Blue and Kellan must work together to find the truth. What they discover will lead them to the darkest reaches of the kingdom, and to the most painful moments of their pasts. When romance is forbidden and evil is rising, can Blue save those she loves, even if it costs her everything? 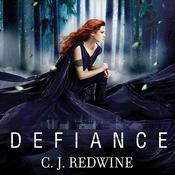 C. J. Redwine is a New York Times bestselling author whose works include the Defiance trilogy and the Ravenspire books, including The Shadow Queen, The Wish Granter, and The Traitor Prince. If the novel-writing gig ever falls through, she’ll join the Avengers and wear a cape to work every day. She lives in Nashville with her husband and children.